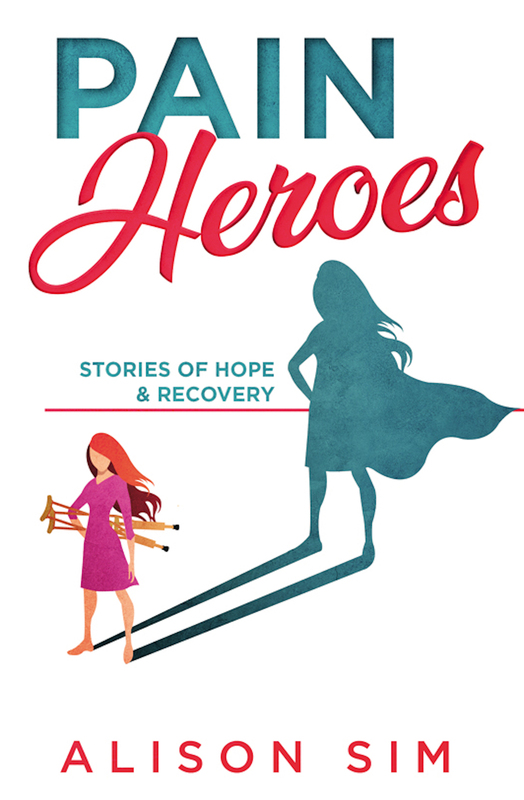 With the help of some very brave ‘Pain Heroes’, I wrote this book to show people in pain that there is hope! As a clinician, when I sit with a patient who is suffering with chronic pain, I am trying to show them there is a way forward – a way to move on from pain. Often, by the time they are seeing me they have had many failed treatments, lots of frustrations and disappointments with healthcare professionals and often they have completely lost hope. I wanted to be able to show them that other people have sat in that chair and had those exact same thoughts, and have since gone on to live really well – either with much less pain (and sometime no pain) than they did, or living a really full and fulfilling life where pain doesn’t dominate. I interviewed these people and recounted that there was a consistent moment in most of their stories – they all learnt more about what pain is, and importantly what pain isn’t, and began to take back control of their story. In the second half of the book I describe the science of pain and how understanding more about pain itself can help us to regain control. I outline some strategies that are known to be helpful for improving function in persistent pain states and give some resources that can help for further reading. While this book is written for people in pain, clinicians will also find the book engaging and educational. You can purchase a PDF copy of the book directly from here for $8 (via PayPal button below, you do not need a PayPal account to purchase). You can also purchase the book as both a hard copy and ebook on iBooks and Amazon (click below). If you would like to order multiple hard copies in bulk for pain management clinics, please contact us directly, as orders of greater than 10 can be delivered at cost price for use as “library copies” to loan out to patients.